Most screens in Warewolf provide the means to export their underlying data in csv format for further analysis in spreadsheets. Look for the ‘data’ action button which may be grouped under the ‘more actions’ button. 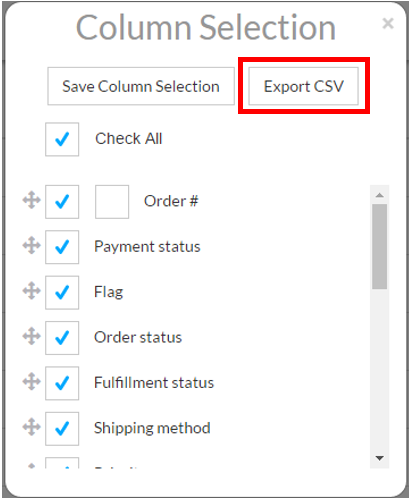 The column selector opens to show the ‘export csv’ action button. Click it to create the csv download. Warewolf gives a confirmation message which clears after a few seconds. File generation may take a short while if the data size is big. To find your files, from the main menu, ‘downloads’. A list of recently created files enables you to select the ones you want for download. When the files are no longer needed, simply delete them form this screen.